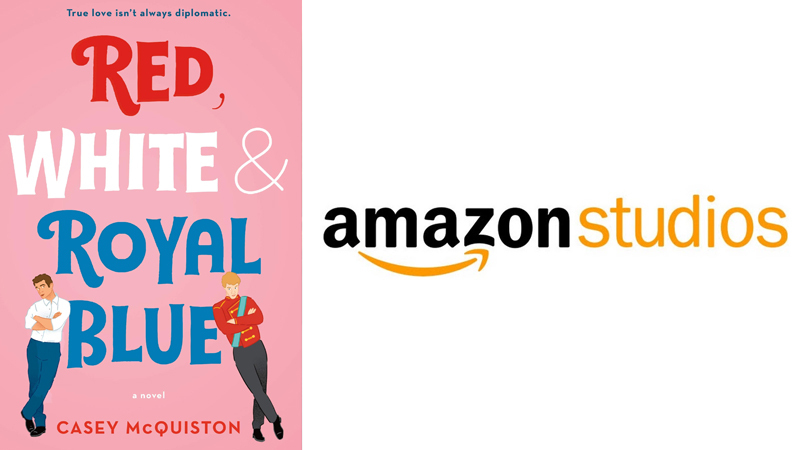 Amazon Studios has won the rights to Casey McQuiston’s yet-to-be-published “big-hearted romantic comedy” Red White & Royal Blue, according to Deadline. The studio won the rights to the project after a bidding war against the likes of Village Roadshow, Paramount and Warner Bros. Per the report, the novel, due out next month, focuses on “First Son Alex who falls in love with Prince Henry of Wales after an incident of international proportions forces them to pretend to be best friends.” The story mixes political intrigue with big laughs, as Alex and Henry are thrust together via a publicity stunt and subsequently end up hurtling into a secret relationship that could derail the campaign they were meant to protect. Greg Berlanti’s Berlanti Productions will produce the film for Amazon Studios. The post Amazon Nabs Rights to Casey McQuiston Novel Red White & Royal Blue appeared first on ComingSoon.net.